Previous studies have proved the relationship between parent–adolescent communication and pathological Internet use. Based on the integration of compensatory satisfaction theory and the self-determination theory, the present study investigated (a) the mediating role of psychological needs satisfaction in the relationship between perceived parent–adolescent communication and pathological Internet use, and (b) the moderating role of parental responsiveness in the mediation model. Data were collected from 2751 Chinese adolescents (mean age = 14.88 years, SD= 1.90). Participants completed anonymous questionnaires regarding parent–adolescent communication, psychological need satisfaction, perceived parental responsiveness, and pathological Internet use. The results showed that perceived parent–adolescent communication was negatively associated with pathological Internet use after controlling for demographic variables. Mediation analyses revealed that psychological need satisfaction partially mediated the association between perceived parent–adolescent communication and pathological Internet use. 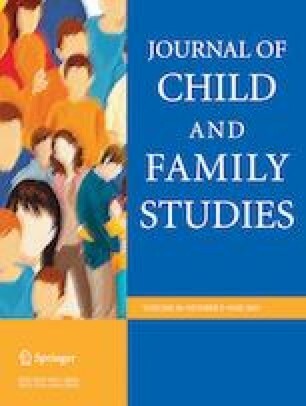 Moderated mediation analyses further indicated that parent–adolescent communication had a protective effect on adolescent pathological Internet use and a facilitating effect on psychological need satisfaction only for adolescents with high parental responsiveness. These results enhanced the understanding of the mediating and moderating mechanisms underlying the relationship between parent–adolescent communication and pathological Internet use. These findings also expand the compensatory satisfaction theory by illuminating one of the ways of how psychological needs were unsatisfied in one’s family. This study was supported by the Education Sciences Planning project of Hubei province(2017GB004). Q.X.L. designed and executed the study, assisted with the data analyses, and wrote the paper. Y.L. collaborated with the design and revised the manuscript. Z.K.Z. collaborated with the design. W.Z. assisted with the data analyses and revised the manuscript. All procedures performed in studies involving human participants were in accordance with the ethical standards of the institutional (Central China Normal University) and/or national research committee and with the 1964 Helsinki Declaration and its later amendments or comparable ethical standards. Informed consent was obtained from all participants, their parents and teachers included in the study. Darling, N., & Toyokawa, T. (1997). Construction and Validation of the Parenting Style Inventory II (PSI-II). The Pennsylvania State University: Internal publication. http://www.oberlin.edu/faculty/ndarling/lab/psiii.pdf.